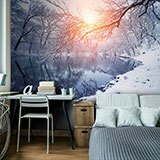 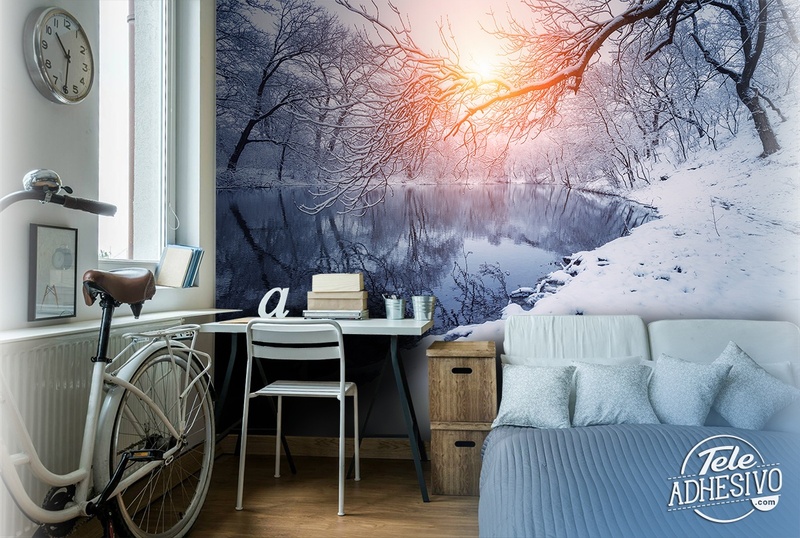 Wall mural Dawn in winter. 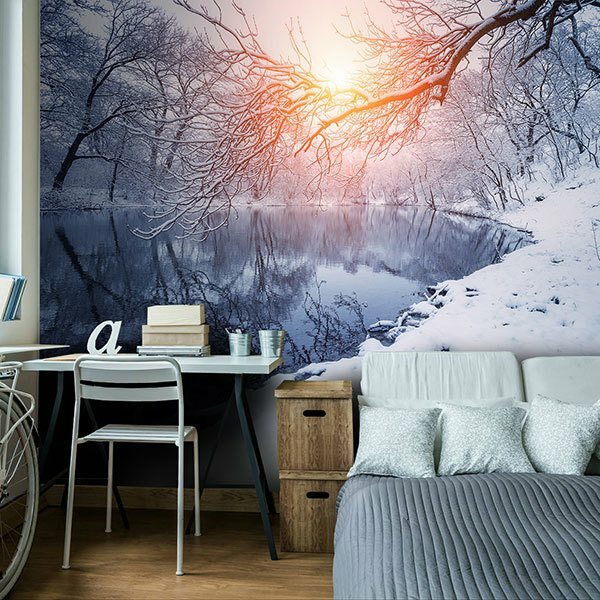 Incredible winter photograph of a lake bordered by snow with the rays of the sun piercing the branches of the trees. 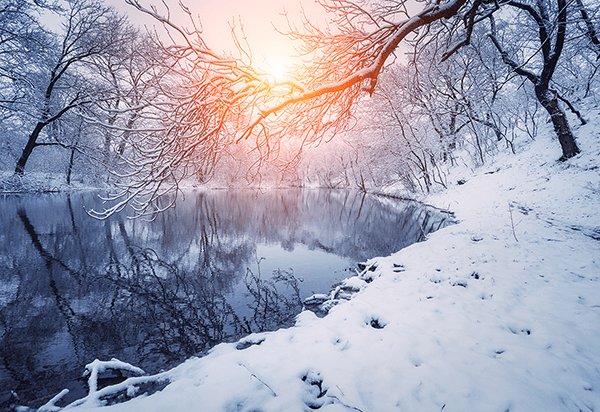 Spectacular snapshot where the harmony of water and snow in blues and whites is infected with reds and oranges by the force of the sunset.